On vacation a couple of weeks ago, my boyfriend Deak surprised me while we were up in the San Franciso with a stop and lunch at the MOST incredible place! The Cliff House Restaurant! If you have NOT been here it is AMAZING and you must see it!!! The restaurant is so beautiful over looking the ocean and beach but that's not the BEST PART!!!! Right next to it are what remains of the Sutro Baths. And they are EXTREMELY HAUNTED!!!! I had not heard of this place but could hardly wait to get down in them!!! The Sutro Baths were a large, privately owned public saltwater swimming pool complex in the Lands End area of the Outer Richmond District in western San Francisco, California. 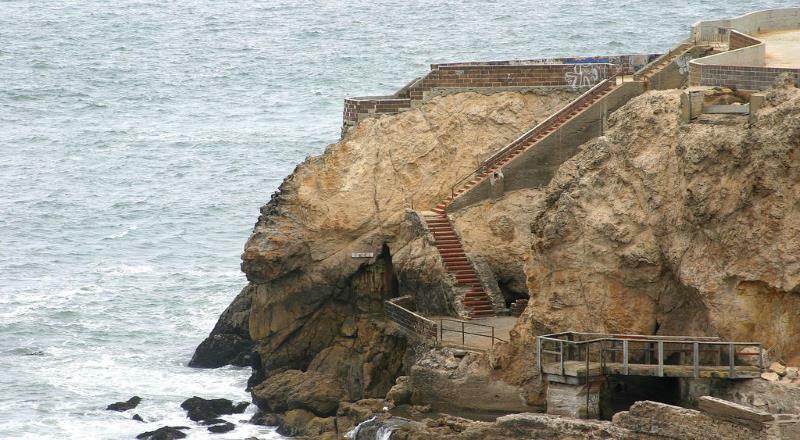 Built in 1896, it was located near the Cliff House, Seal Rock, and Sutro Heights Park. The facility burned down in June 1966 and is now in ruins. 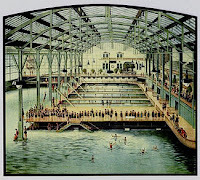 On March 14, 1896, the Sutro Baths were opened to the public as the world's largest indoor swimming pool establishment. The baths were built on the western side of San Francisco by wealthy entrepreneur and former mayor of San Francisco (1894–1896) Adolph Sutro. 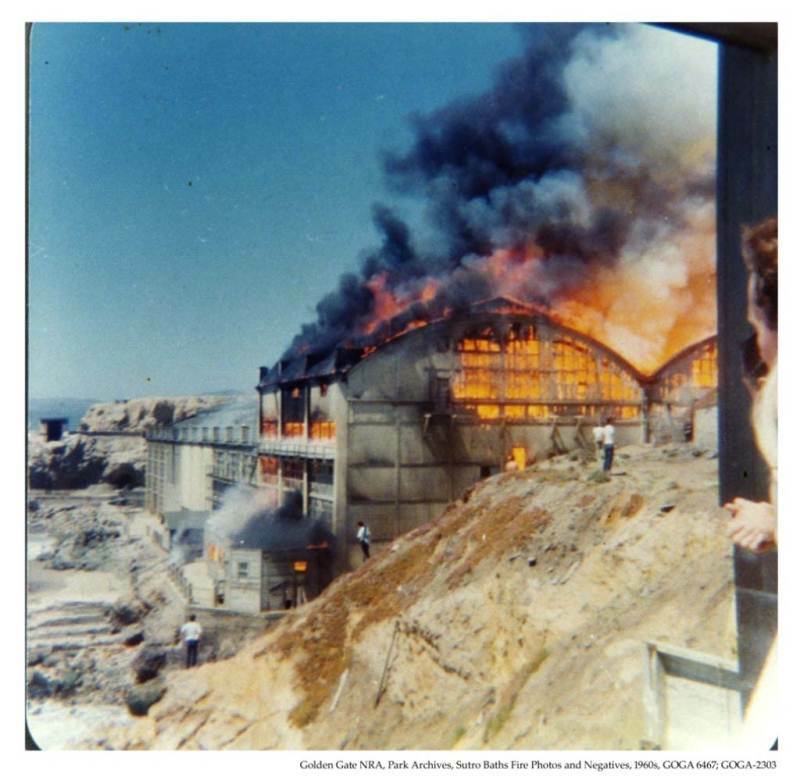 Before it burned to the ground, the structure filled a small beach inlet below the Cliff House, also owned by Adolph Sutro at the time. The baths struggled for years, mostly due to the very high operating and maintenance costs. Shortly after closing, a mysterious and catastrophic fire in 1966 destroyed the building while it was in the process of being demolished. All that remains of the site are concrete walls, blocked off stairs and passageways, and a tunnel with a deep crevice in the middle. Whether it’s the same force that plagued the Baths when they were open, or something new since they were ruined, there is no question that something draws denizens of the spirit world to the Sutro Baths. Urban explorers braving the tides, cold weather, and unsteady footing of the ruins report a multitude of ghosts. Psychic mediums who have visited the area report feeling an “unnerving force”. Old patrons of the baths are the most common supernatural sighting. They’re most often seen at night and could be mistaken for mortal visitors, if not for their wildly incongruous turn-of-the-century swimming garb. Given the typical nighttime climate of San Francisco, they make quite an unusual sight in their sun dresses and swimming pants, wielding umbrellas and towels. These ghosts are harmless if shocking. They seem to reenact the heyday of the Sutro Baths, roaming the stone ruins, laughing and playing. Faint sounds of singing and the hubbub of a crowd can be heard on a quiet night. Bringing an EVP recorder to the Sutro Baths can definitely bear fruit. The resort was also home to a large museum, full of relics and artifacts found by Adolph Sutro during his travels around the world. Many of these items were of religious or magical significance to their original owners, and many of them were none too happy with Sutro after he left. Although the museum is gone now, ghosts and spirits from a hundred different cultures can be spotted around the Baths at various times. Everything from an Irish banshee to a South African Tokolosh seems to haunt the baths now. It’s quite the multiculturalsmorgasbord of horror. You’re lucky if they’re the only paranormal find you make on a trip to the San Francisco shore, though. 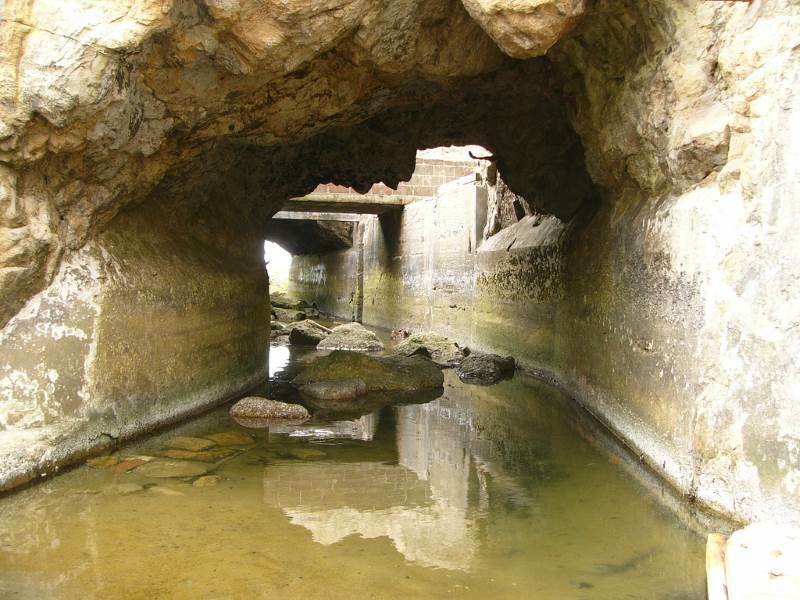 The ocean tunnels were a main feature of the Sutro Baths when they were open. An engineering marvel for the time, water would be pumped in from the Pacific Ocean, using the tides themselves to provide pressure. After the baths shut down, though, the tunnels remained, and some very strange things moved in. Strange noises, footsteps, and unidentifiable claw marks have been seen throughout the tunnel system. Locals think that something living just offshore in the frigid Bay waters likes to travel up the tunnels and make a lair in the old Baths. Nobody knows quite what this creature might be, though. There shouldn’t be anything that walks on clawed feet moving around out there. And no ocean creature should be collecting piles of bones and fur. Explorers have come across small alcoves in the tunnels where half-eaten carcasses of everything from fish to raccoons lay rotting. There is no known ocean-dwelling animal that maintains a lair in this fashion, and certainly not one that will pile up remains. Some even swear the bones are arranged in a distinctive pattern, almost as though a ritual of some sort was being carried out. The few investigators who have made a serious effort to locate the resident of the Sutro tunnels have come back empty-handed. That’s better than not coming back at all. That’s bound to happen sooner or later, though. Along with all the paranormal and cryptid activity, there are signs of some ill-advised human endeavors. San Francisco was the birthplace of modern Satanism. Anton LaVey founded the Church of Satan in the so-called Black House, not far away from the Sutro Baths. The Church became almost mainstream as time went on. More of a social movement than a concerted attempt to engage in the Black Arts, many Satanists weren’t bad sorts. Every religion has its extremists, though, and the Church of Satan was no exception. 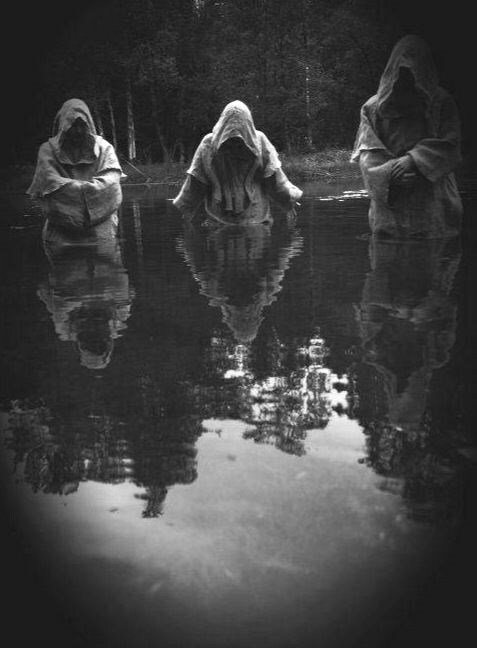 Dark rituals intended to bring forth harmful spirits. Animal sacrifice. Even human sacrifice. The Church disavowed these activities, but they are known to occur to this day. 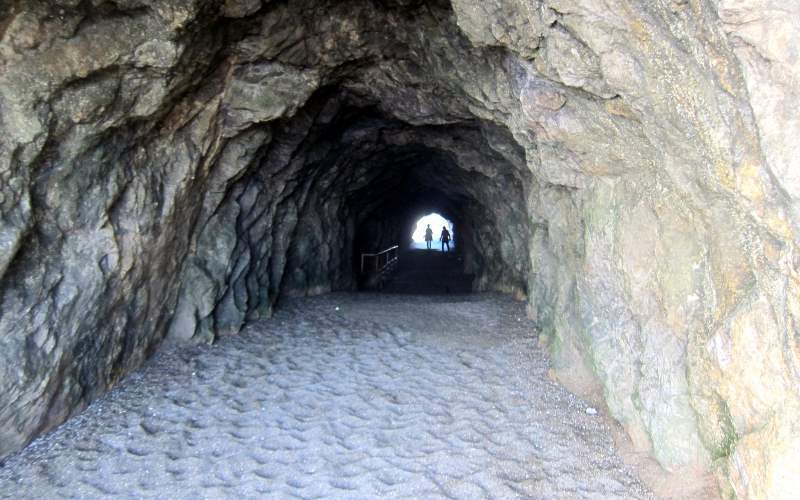 It is said that the tunnels under the Sutro Baths are where this dangerous cult practices their séances and rituals. Steering clear of the monster but perhaps embracing the ghosts, these people are not to be trifled with. If you come across a pentagram drawn on the walls in the tunnels, turn and run. Please just run. It may already be too late. The cult seems to have met some success in their doings. A local story goes that if you carry a lit candle to the very end of the tunnels, where they open up onto the ice-cold ocean, an invisible force will seize the candle up and fling it into the waters below. The exact cause of this is unknown. 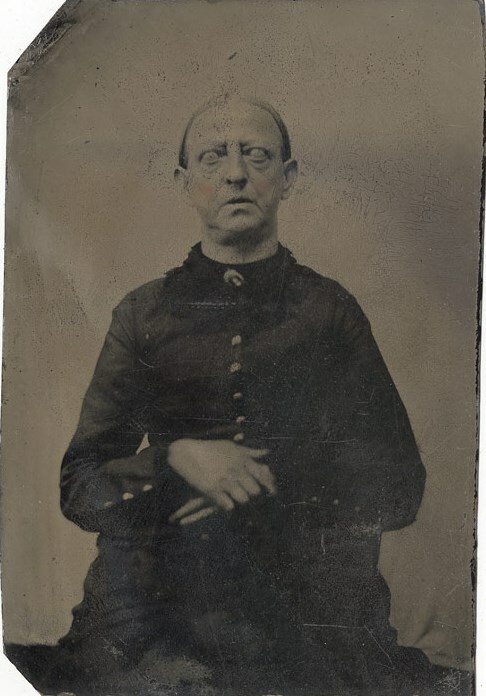 However, quick and violent paranormal phenomena almost always point to an angry spirit. It’s possible that the spirits simply want all living beings out of their underground territory. It’s equally possible that this being was conjured up by dark forces, and seeks to harm anyone who comes near. One particularly chilling tale goes that the spirit is that of a human sacrifice. The being seeks only to prevent more deaths like its own. Candles are a common element of Satanic rituals, and so the ghost extinguishes any that come near. Ghosts are often unable to distinguish between different mortals, though, and the spirit takes a terrible vengeance on everyone who comes close. Whatever the case, it would be best not to anger it further. Left in pure blackness, the bearer of the candle must make his way back to the entrance. Often, they fail and are simply never seen again. I did take lots of pictures and took my recorder. Yes, I did get a couple of EVP's but it is hard to be sure what is an EVP and what is someone else talking. People are walking around everywhere. This had the strangest feeling about it. Not super scary.....but the only word I can think to describe the experience is.....different. You definitely feel "not alone" but you also feel....like "what happened here"???? Anyway, here are some of my pictures and I hope to post the EVP's in a couple of days.